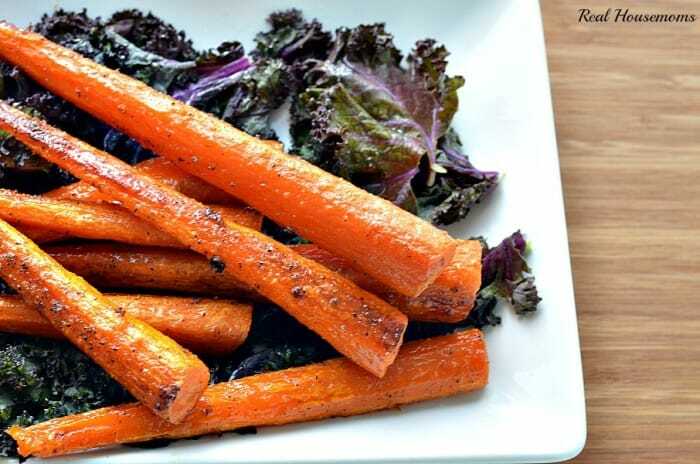 I made these Honey Roasted Carrots for my husband and I the other day for an easy side with lunch. I’ve made Simple Maple Roasted Vegetables for dinner before but never just roasted carrots. I do love carrots, but really I usually eat them raw, or my Mom’s Candied Carrots at the holidays, or as a base to a soup. I’ve been missing out!!! They’re soooo good. 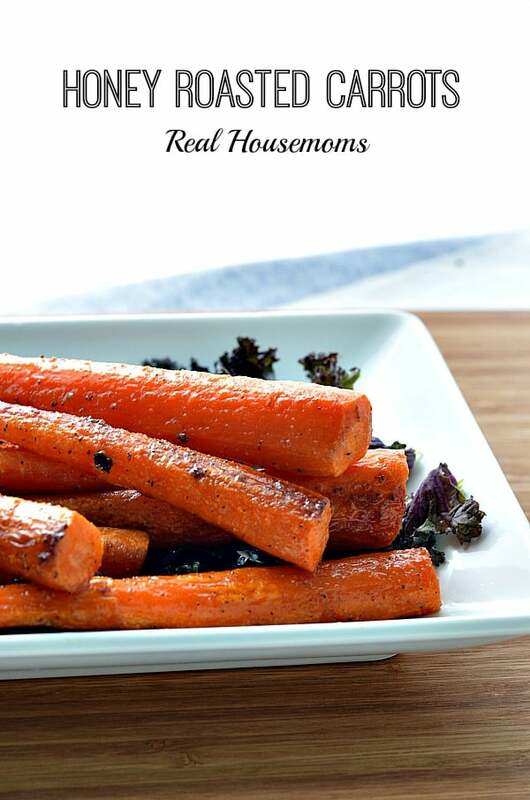 Honey Roasted Carrots are so easy to make also!!! So that pretty much makes them a new staple in my house. It tastes like you’re eating candy but it’s carrots! Roasting them caramelizes the natural sugars and the honey just throws them over the top. I like the combination of the salt and garlic with the sweetness of the honey. If you haven’t noticed that’s a favorite combination of mine. These carrots won a stamp of approval from my husband and I know that they’ll be a new favorite in your home too! These honey roasted carrots are so sweet and delicious that your family will be begging for them every week! They are so easy to make that you won't mind. This is one of those side dishes that I can never seem to eat enough of, because roasted veggies are too good to pass up! Pinned and shared! Wow. The only way my husband could ask me to make these every week would be for them to last until he had a chance to taste them. Not gonna happen – these are way too good! These are just awesome. Hubby loves carrot so I show him this and he wanted be to do it right away. So I did and oh man they were goooooood. Will definitely make them for when I have guest. Need your recipe it was an onion dip posted recently also showed putting this dip on steaks. Thought I had saved but can’t find….thanks so much!